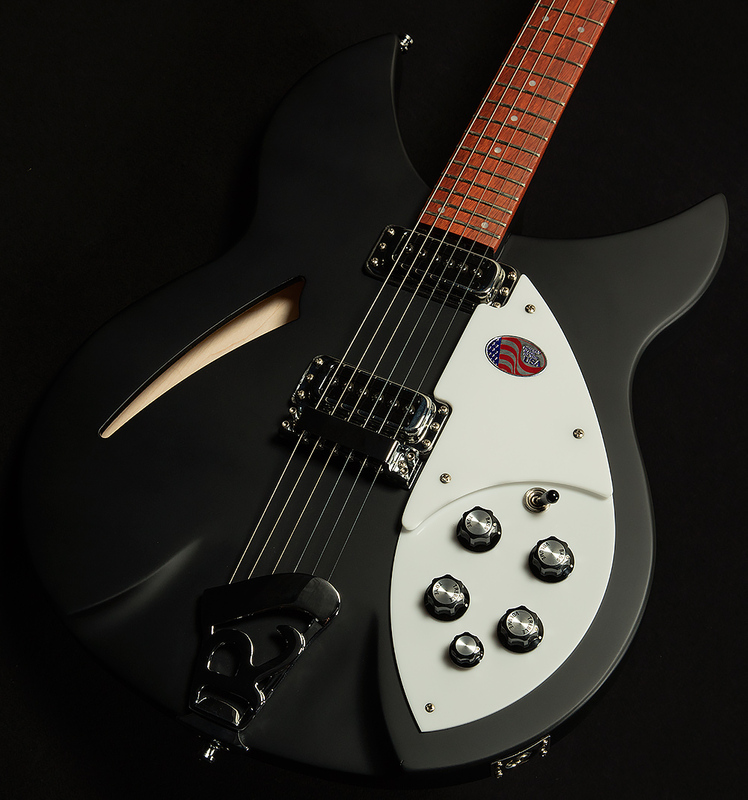 The Rickenbacker 330 is one of the most iconic electric guitar designs of all time. Designed by renowned German luthier Roger Rossmeisl, the 330 quickly caught on among all the cool cats in the British music scene '60s, including one small indie band that achieved moderate success called the Beatles. Buoyed by the Beatles superstardom, Rickenbackers became the guitar of choice for every Mod with a jean jacket. One of these mods, a young lad with an appetite for six-string destruction named Pete Townshend, played a 330 at a few big gigs with The Who and cemented its place in British Music history. By the time the eighties had rolled around, a new generation of guitar heros whose ranks included Paul Waller of The Jam and Johnny Marr of the Smiths adopted the 330 as their axe of choice. Nowadays, modern six-string slingers like Laura Jane Grace keep the tradition of alive by playing 330s all over the globe. There's a reason why the 330 has been the guitar of choice for four generations of guitarists with bad attitudes. Its inimitable bell-like clang in the high end, snarling midrange, and tight lows give it the sort of sound that begs you to dig in and put your windmilling muscles to work. Rickenbacker has changed very little in the last fifty years, so modern 330s don't sound too far from their vintage forebears. As a result, plugging one in makes you feel like you stepped into one of your favorite records. As a fan of all things garage-y, punk-y, and jangly, it gives me goosebumps every time. Of course, the 330 also allows you to access many subtler tones. Though it's known for its British Invasion tone, it's no one trick pony--it's a workhorse! You can get glorious jangle when you run into a clean amp, and the neck pickup can cop some glorious smooth, mellow jazz tones. And if you've never plugged a 330 into a roaring Marshall-style amplifier, I suggest that you do so at the earliest possible opportunity. You'll be amazed by the muscular, punchy, snarling tones that pop out of the speaker! Of course, I would be remiss if I didn't mention the 330's good looks, quality construction, and impeccable design. It's made of maple, so it has a very articulate attack and a transparent sound with fast decay. The bloodwood fretboard is home to 24 frets, so you can climb higher than ever before. Speaking of frets, the fingerboard also has a modern 10" radius, which gives the guitar a well-rounded handfeel that works well for just about every technique and style. How could we resist showcasing such an amazing instrument for our exceptional customers? The Rickenbacker 330 is full of iconic, joyous noises, and we know its timeless sound will bring any six-string enthusiast a lifetime of joy.